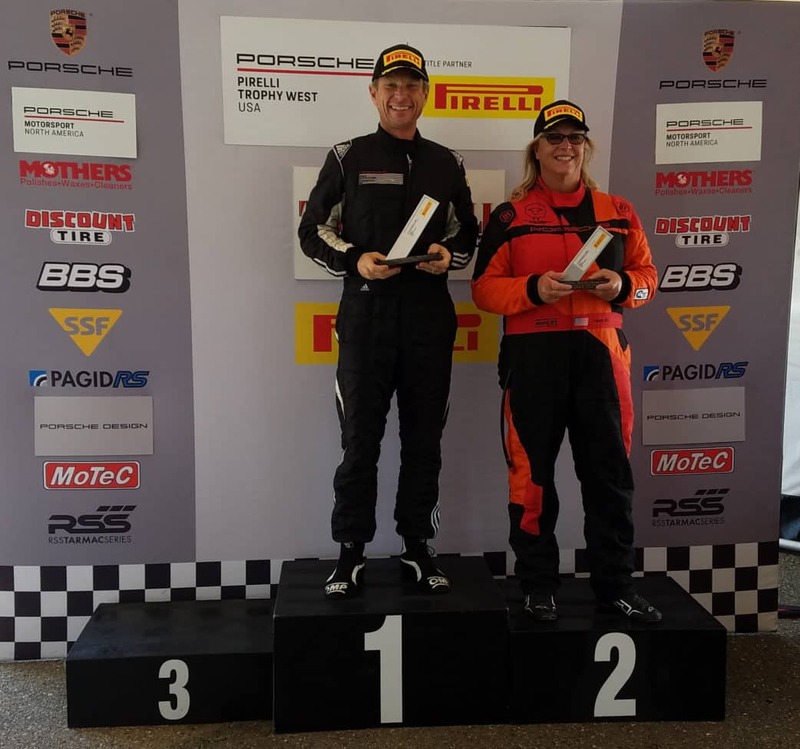 WILLOWS, Calif. – Two Northern California natives put their local knowledge at Thunderhill Raceway to good use on Saturday, taking overall victories in Race 7 of the Pirelli Trophy West USA series on the road course. 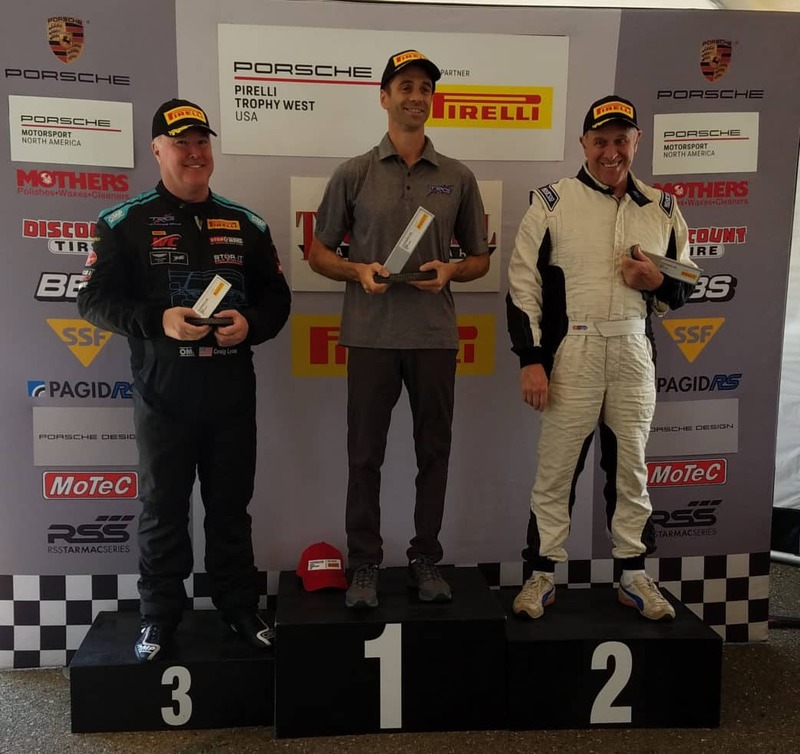 TruSpeed Autosports’ Kevin Woods, from Newark, and Chris Bellomo, from Portola Valley and driving for Sonoma-based The Racer’s Group, battled hard at the storied Northern California track to take home the victories. 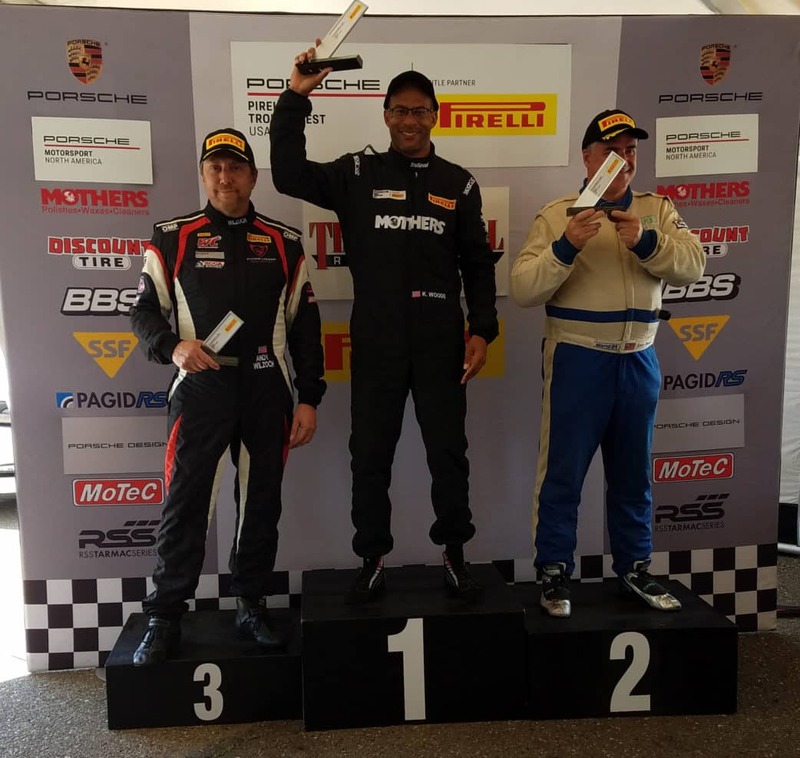 The win was the fifth of the season for Woods and the first in Pirelli Trophy West USA competition for Bellomo. 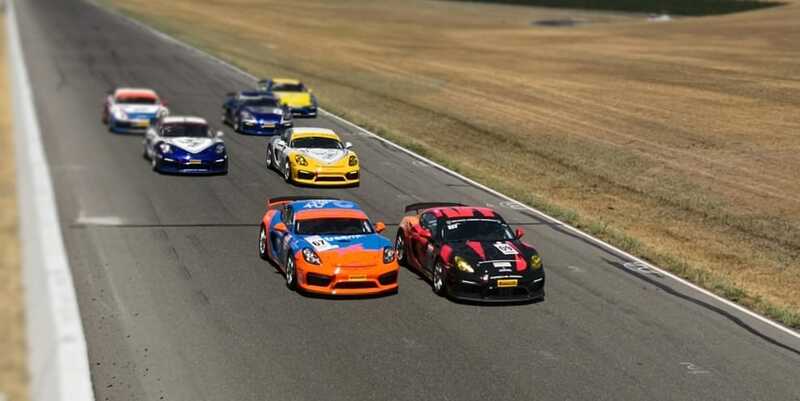 Over 30 Porsche GT3 and GT4 Cup cars in six different classes contested the two races: Diamond and Diamond Masters (2017-2018 991.2 GT3 Cup), Platinum (2015-16 991.1 GT3 Cup), Gold (2010-2013 997.2 GT3 Cup), Silver (Cayman Clubsport GT4 MR) and Bronze (2016 Cayman Clubsport GT4 Trophy) classes. 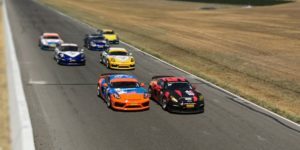 The classes were split into two races, with the two GT4 classes in the first race and the four GT3 classes in the second. In the GT4 event, Black Sheep Racing’s Laura Ely started on the Bronze class and overall pole, with Chris Bellomo (The Racer’s Group) alongside in the Silver class. Ely held the early lead, but Bellomo stayed on her rear wing, waiting for an opportunity. He got that chance on lap 8, as Bellomo put his No. 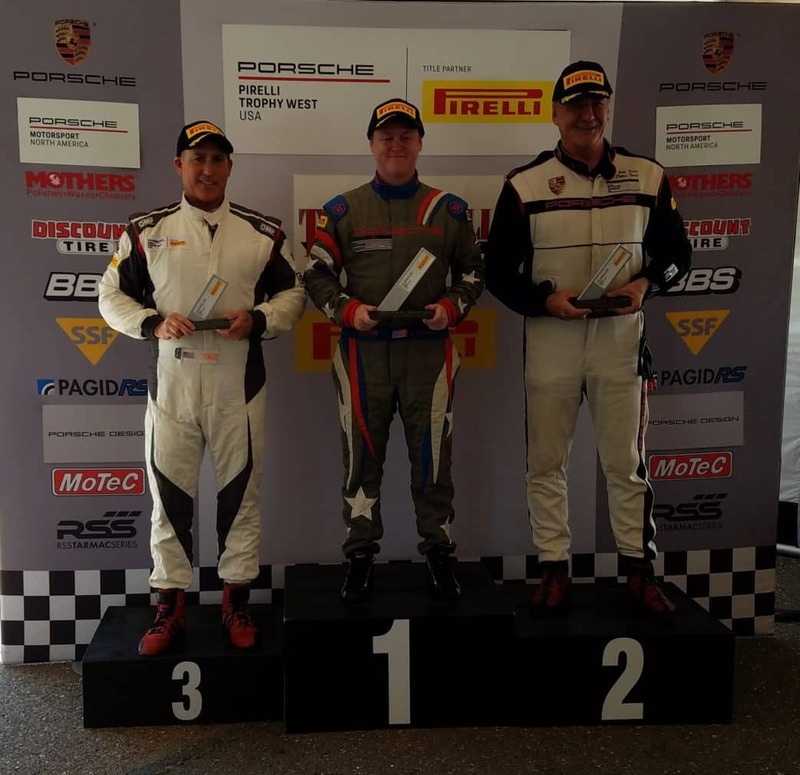 67 Porsche Cayman Clubsport MR into the top spot with a slick move around the outside of Ely in Turn 1. Ely remained in Bellomo’s rear view mirror ahead of Flying Lizard Martin Brauns until the penultimate lap, when Ely’s Turn 3 spin allowed Brauns to take the Bronze class victory. Bellomo, who has only been racing for one year, kept his cool at the front of the field to earn his first series win, taking the overall and Silver class victory in the 19-lap, 40-minute flag-to-flag race. 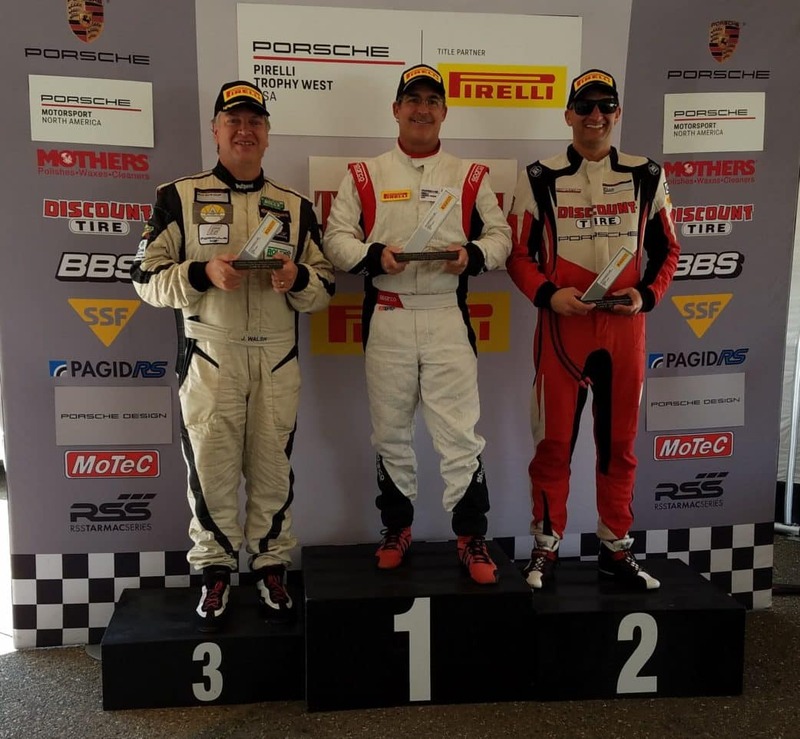 In the GT3 race, 911 Design’s Loren Beggs started on pole, with TruSpeed Autosport’s Kevin Woods alongside. Woods tucked behind Beggs at the start and bided his time, surprising Beggs with the pass in Turn 6 on lap 2. 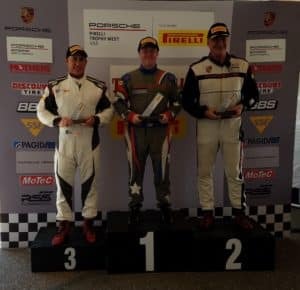 Beggs stayed close until a spin in Turn 5 left Woods with a five-second lead over Preston Calvert and Sean McAlister, running second and third overall and in the Diamond Masters and Platinum class leads, respectively. But on the next lap, the pair made contact and spun in Turn 3, helping Woods to extend his lead to 13 seconds over Will Tait and Michael Zuieback, who were also battling for the Diamond Masters victory. Woods stayed out in front to take his fifth win of the season over Tait and Beggs, with Tait earning his first Diamond Masters win of the season. McAlister, meanwhile, was a man on a mission, having found himself in the back of the field after his spin. But the 21-year-old, winner of all six races so far this season, stormed back through the field to class leader John Krieg on lap 14 and taking the victory in the 20-lap, 40-minute flag-to-flag race. Ray Shahi, the solo Gold class entry in the No. 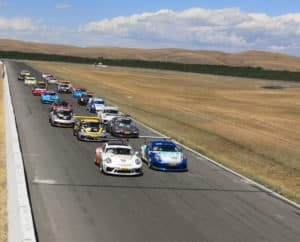 65 Sterling Collision/Newport Porsche TruSpeed Autosport Porsche, battled in the midst of the Platinum class for much of the race to take the uncontested class win. 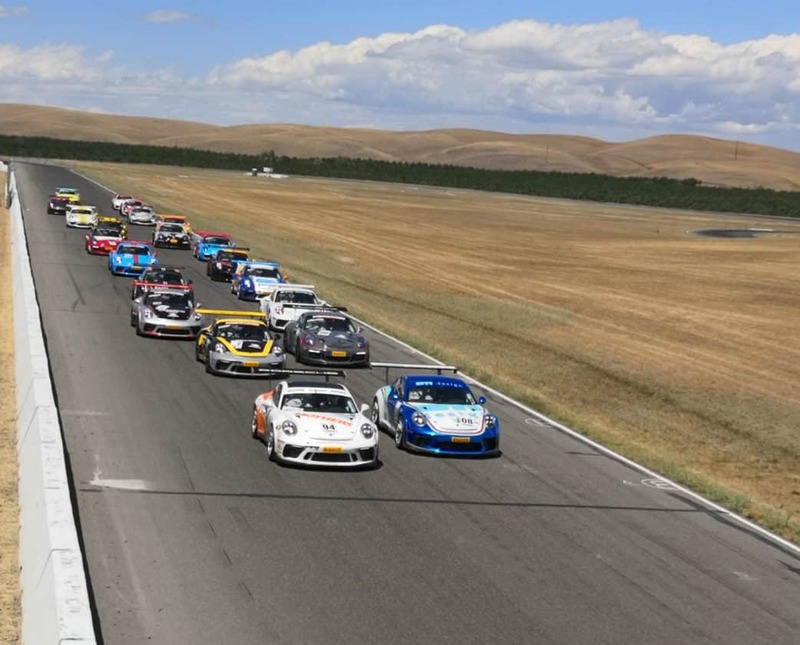 The Pirelli Trophy West USA series will return to Thunderhill Raceway for Race 2 on Sunday with the green flag set to fly on the GT3 race at 1:20 p.m. PDT, and the GT4 race at 2:10 p.m.